Gospel music legend James Cleveland was born on December 5, 1931 in Chicago. Unable to afford a piano, he crafted one out of odds and end and taught himself how to play. Cleveland sang as a boy soprano at Pilgrim Baptist Church where the music program was headed by Thomas Dorsey, whom many consider the “father” of modern gospel music. In 1950, Cleveland joined the group known as The Gospelaires and worked on a number of arrangements including “Give Me That Old Time Religion” and “It’s Me O Lord.” The group was noticed by Roberta Martin, a well-known gospel performer, and Cleveland began composing for her, including the song “Stand By Me.” His style was considered avant garde, differing dramatically from other gospel works in this period. His composition style and unique voice drew the attention of numerous people in the music world. Cleveland’s work on two songs in this period demonstrates his revolutionary fusion of musical styles. In 1959 Cleveland rerecorded his version of Ray Charles’s “Hallelujah I Love Her So,” demonstrating his ability to combine gospel and Rhythm and Blues (R&B). A few months later, Cleveland’s recording of “The Love of God” brought together pop and ballads supported by the Detroit Voices of Tabernacle Choir. From that point choirs would be a mainstay of gospel recordings. Cleveland’s first runaway hit Peace Be Still (1962) on the Savoy Records label, sold nearly a million copies among a largely African American audience without promotion. James Cleveland became an ordained minister in the early 1960s. In 1969, he founded the Southern California Community Choir. He also founded the Cornerstone Institutional Baptist Church in Los Angeles in 1970 where he served as pastor. Cleveland argued that gospel music could reach people in a profound and powerful way, perhaps more so than a sermon. To prove his point he sponsored an annual gospel music convention which for the first time brought together the best gospel performers in the nation on the same stage. The Gospel Music of America Workshop remains an institution in the genre. Rev. James Cleveland wrote hundreds of songs and recorded dozens of albums. He won Grammy Awards for Best Gospel Album by Choir or Chorus (1990), Best Soul Gospel Performance (1977, 1980). His songs include “Don’t Forget to Remember,” “Oh Be Joyful,” and “Use Me Lord.” Rev. Cleveland mentored a young Aretha Franklin and remains a giant, not only in the gospel music scene, but for his influences on a variety of other musical genres. Rev. 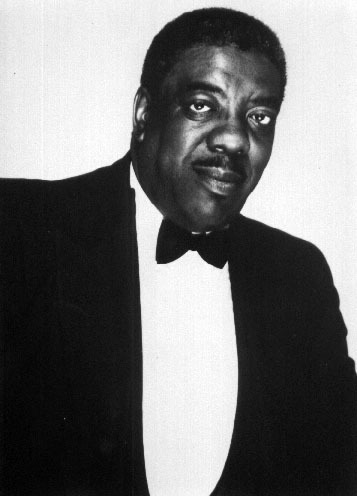 James Cleveland died of heart failure on February 9, 1991 in Culver City, California. Bob Darden, People Get Ready! : A New History of Black Gospel Music (New York: Continuum, 2004); Akin Euba, Bode Omojola, and George Dor, Multiple Interpretations of Dynamics of Creativity and Knowledge in African Music Traditions: A Festschrift in Honor of Akin Euba on the Occasion of His 70th Birthday (Point Richmond, CA: MRI Press, 2005); Shirley Caesar, Walter Hawkins, James Cleveland, David Leivick, and Frederick Ritzenberg, Gospel [United States]: Monterey Home Video, 1983.